Officially licensed snack container. 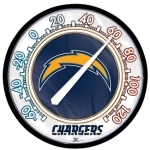 The San Diego Chargers Snack Helmet is a great gift item for watching the big event with friends. 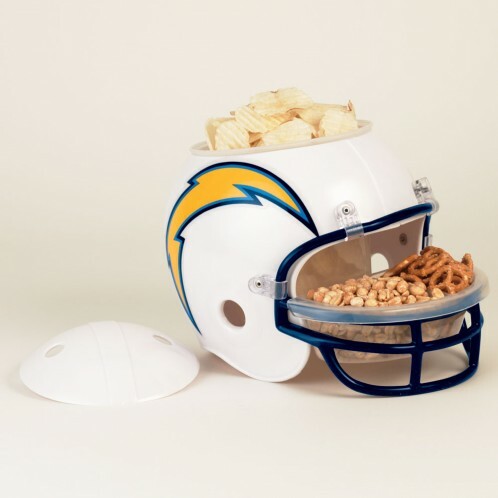 Snack helmets have a large container in the helmet and a smaller tray with two compartments in the facemask (Football) or one smaller tray with no divider (Racing). Helmets are approximately 10" high x 9.25" wide x 12" deep. Container and tray are microwavable and dishwasher safe. Made in USA. * Ships in approximately 5-7 business days.